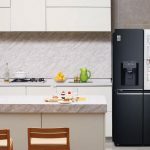 We’re used to getting software updates for our devices but the one for the Samsung Family Hub refrigerator has been one of particular interest and something the whole family can take advantage of. 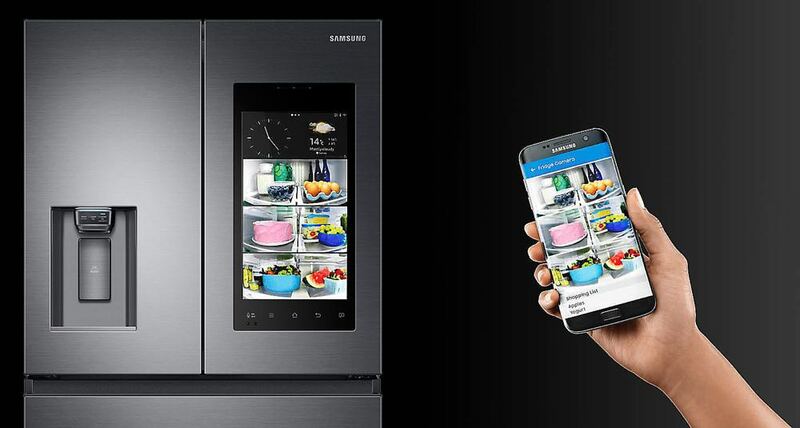 After we ran the Tizen 3.0 update on our connected Samsung Family Hub we found a new-look interface and numerous new features plus new and updated apps. 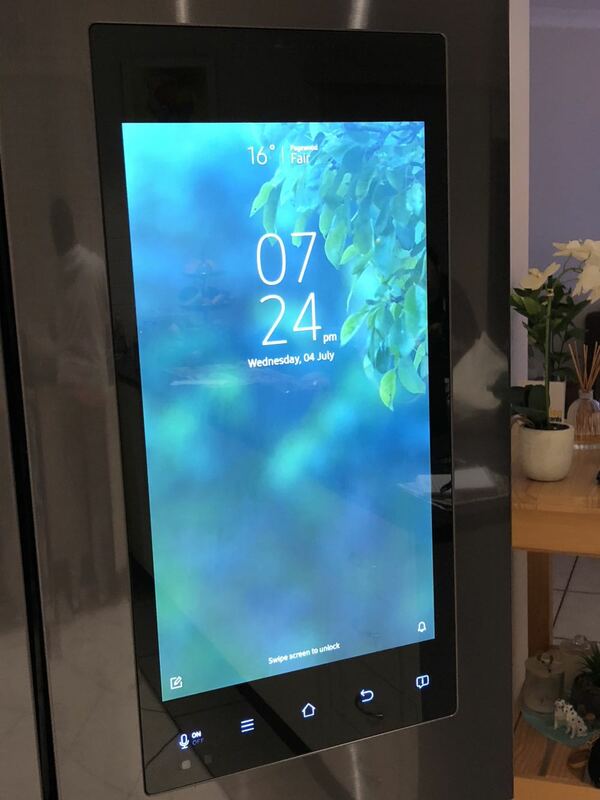 Our fridge is last year’s Samsung Family Hub French Door model with that massive 21.5-inch touchscreen but we were still able to update to the latest software and enjoy all the features that it brings. 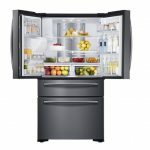 It’s a big fridge – we are a family of five – and the Family Hub offers lots of storage and a convenient layout. 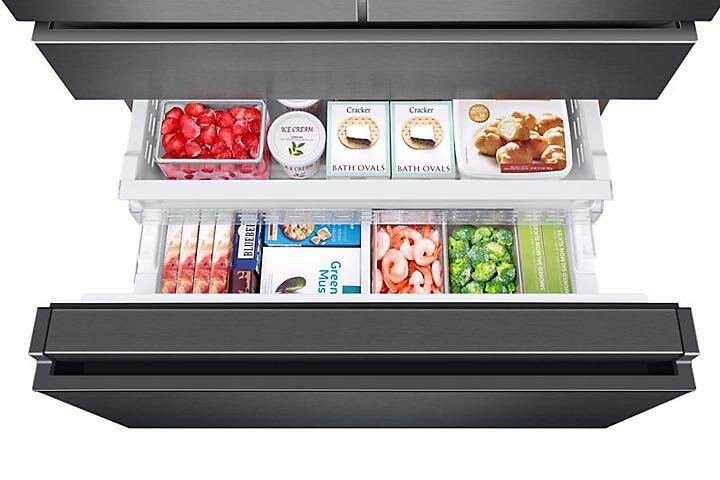 The French Doors open up to plenty of space to keep your food within easy reach while the middle drawer conveniently offers a spot where you can easily access items without opening the whole fridge. 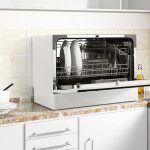 It’s also at the right height for a child to grab a drink or a snack without letting the all the cold air out. 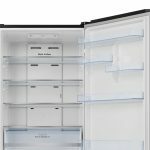 And the freezer is located at the bottom as a large draw with a movable shelf inside to easily organise and access your frozen goods. 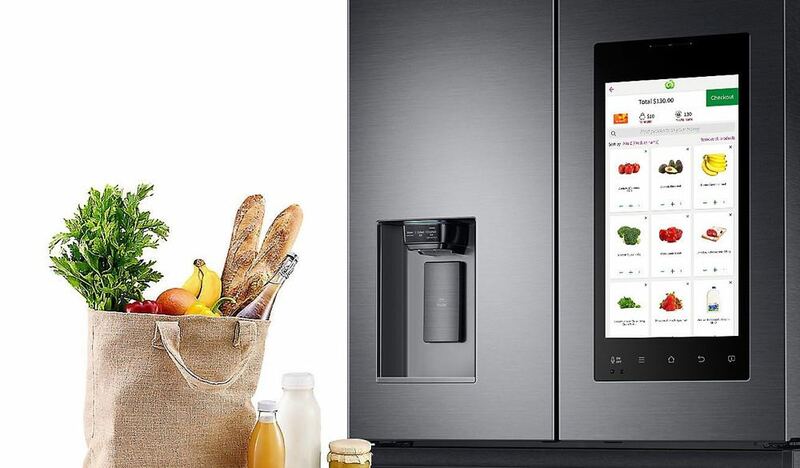 The Samsung Family Hub fridge also has a water and ice dispenser so you can just walk up and grab a cold glass of water and add ice to a drink. And to make this possible the fridge had to be connected to our water supply – a fast and easy job for a plumber. Inside the door is a jug that is automatically filled with cold water so everyone can have a drink at the dinner table. But it’s the technology that really makes the Samsung Family Hub stand out and the central part of it is that 21.5-inch screen. Our old fridge used to be festooned with magnets and notes and photos and reminders. Now that can all be done through the touchscreen. 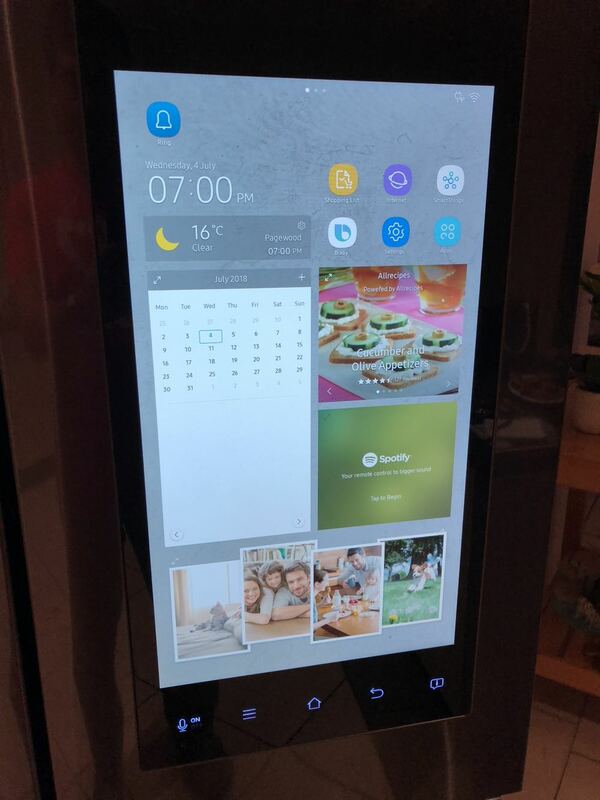 The Tizen 3.0 update came through last week and gave the Family Hub interface a whole new look which was very similar to the style of the Samsung Galaxy S9 smartphone. We still had the whiteboard app for handwritten notes and drawings, the web browser and the meal planner which allowed us to list all the meals for the week. 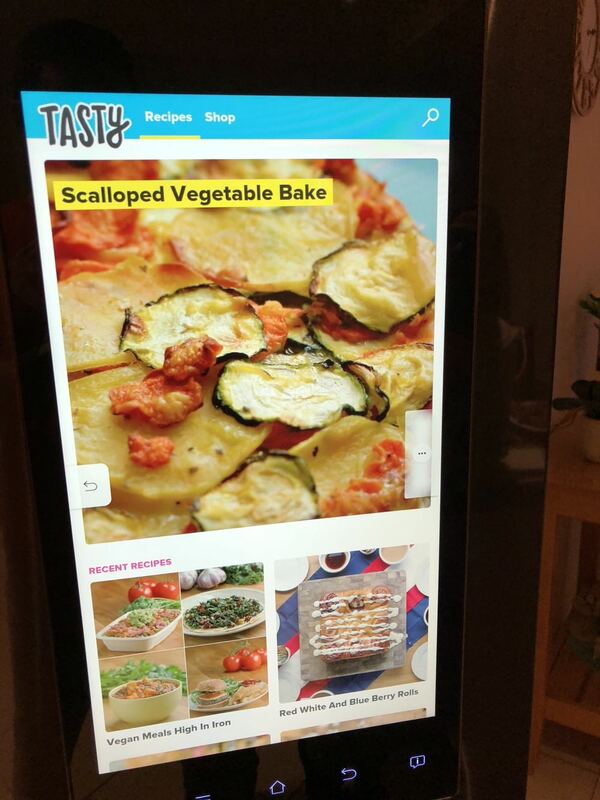 We now had the Tasty app, an amazing compendium of recipes with brilliant step-by-step instructional videos to follow. Users can also order their groceries through the Woolworths app and create shopping lists on-the-fly so that you don’t ever forget what you need to buy. 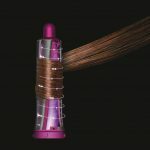 But even if you did forget your shopping list, one amazing feature will come to the rescue. 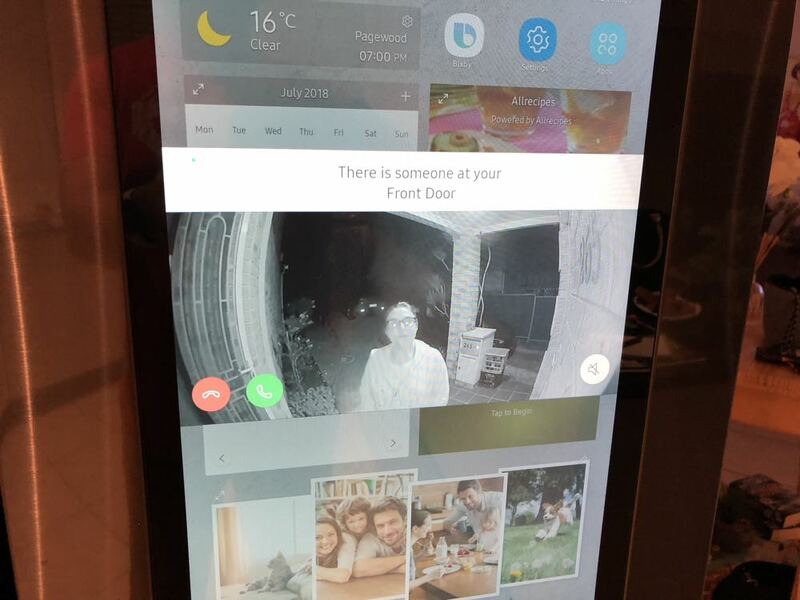 There are cameras built-in to the doors of the Samsung Family Hub and it takes a picture of everything inside every time the door is open and closed. This allows users to look inside the fridge from anywhere through the Family Hub app which is available on iOS and Android. Now if you are at the shops and wondering what you need, this view inside the fridge allows you to see for yourself to prevent you buying something you already have. You can also use that feature to label all your food from the touchscreen and list use-by dates. This will encourage you to use the food with the closest use-by date and have less food waste. On the smart side, the software update also gave us the latest version of Bixby so you can talk to the fridge and access information, search the Internet, add items to your shopping list, play music and access content through Spotify and TuneIn Radio and set timers just by using your voice. 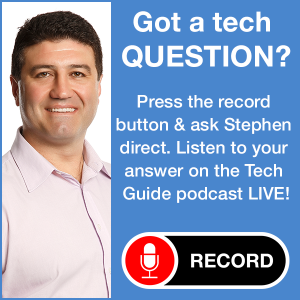 Also onboard is the Smart Things app which allows you to connect your other smart devices like washing machines, robot vacuum cleaners, lights and cameras. 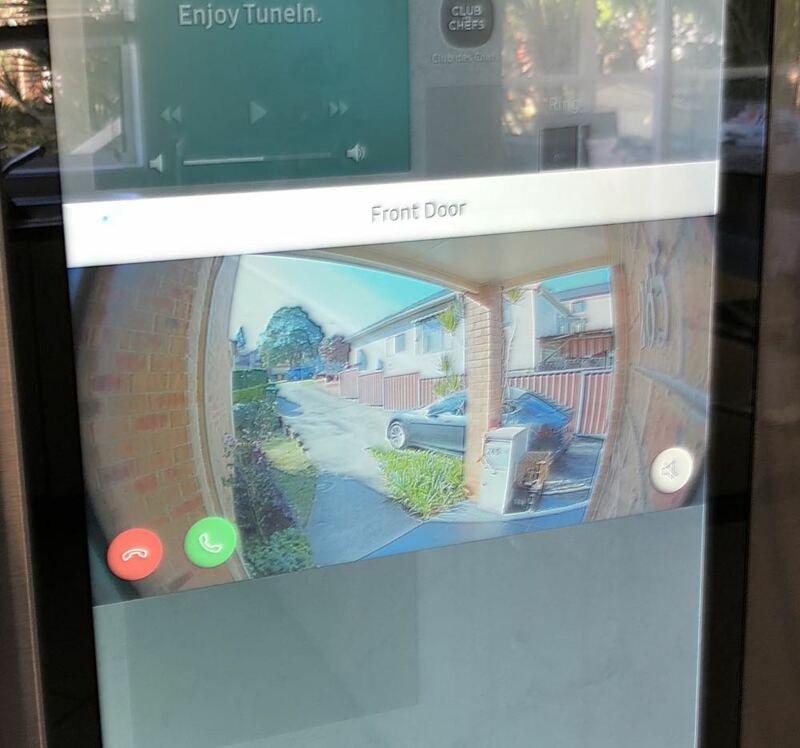 With this latest update, users will also find the Ring doorbell app so (if you have a Ring doorbell and cameras installed) you can see on the fridge display who’s at your front door or in front of your other cameras and respond to them as well. 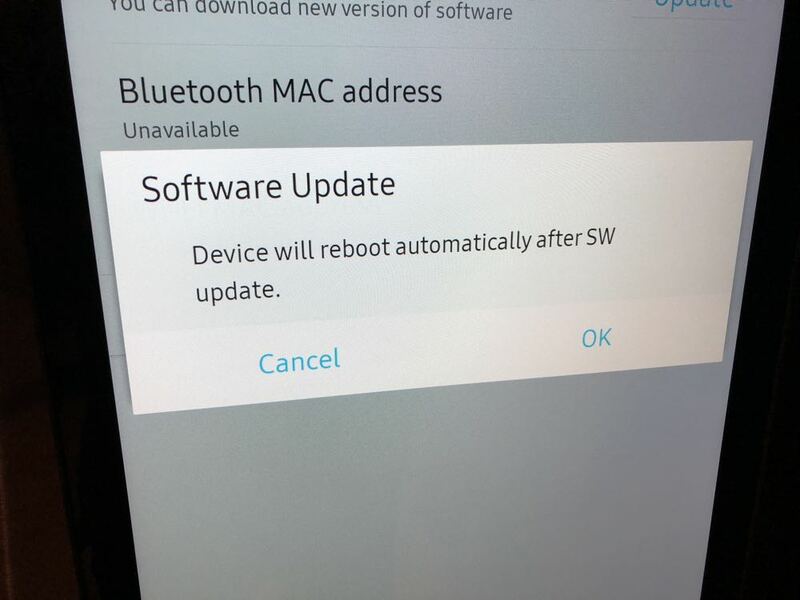 And what makes this software update and all of these new features so useful is the fact they are located centrally in the home so everyone can see them and enjoy the many benefits they provide.